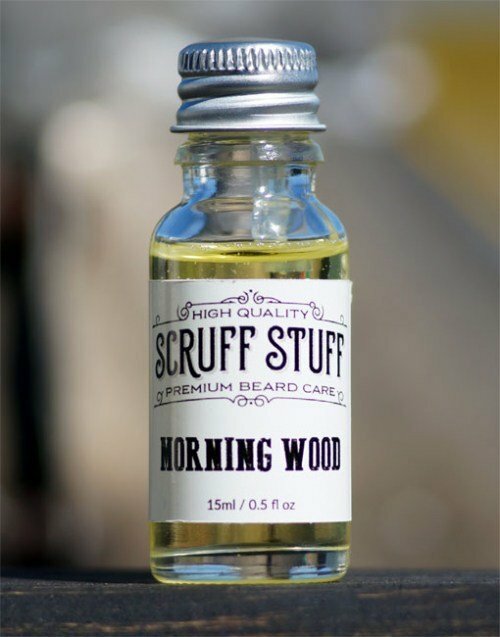 I guess we all have the same thought when we see the name Scruff Stuff ‘Morning Wood’ Beard Oil, however its good but not to that extent! Even before I open the screw cap on a Scruff Stuff oil, I already know that its going to smell amazing because James has a real talent for blending the essential oils for his beard oils and that’s the reason that Scruff Stuff has such a large following. ‘Morning Wood’ is flowery with a fresh and summery aroma, now don’t let my description put you bearded men off of it, it’s not at all feminine and reminds me of the hippy aromas and that in part is because Patchouli is used in this oil. The oil is in fact a blend of Sandalwood, Cedarwood, Tea Tree and Patchouli essential oils in a base of Grapeseed, Coconut, Jojoba, Castor and Vitamin E oil and it’s a very light beard oil, however despite the fact that it’s a light oil, it gives a reasonable amount of hold to your beard. Scruff Stuff oils always mange to tame my dry as kindling beard into something that more resembles the feel of hair. Scruff Stuff Beard oils come in a 15ml/0.5fl oz glass bottle with a drip stopper for dispensing your oil. The oils cost £7.95 from the website or by clicking the buy button above. I highly recommend trying Scruff Stuff oils, James really is the master of beard oil blending. However that is equalled by the customer service that James offers, he without a doubt actually cares about the people he sells to and will always try to help with any problems not that there are very many. So head on over to Scruff Stuff and grab yourself an oil and you may also want to check out the Bearded F’ing Badasses Facebook group set up by James.